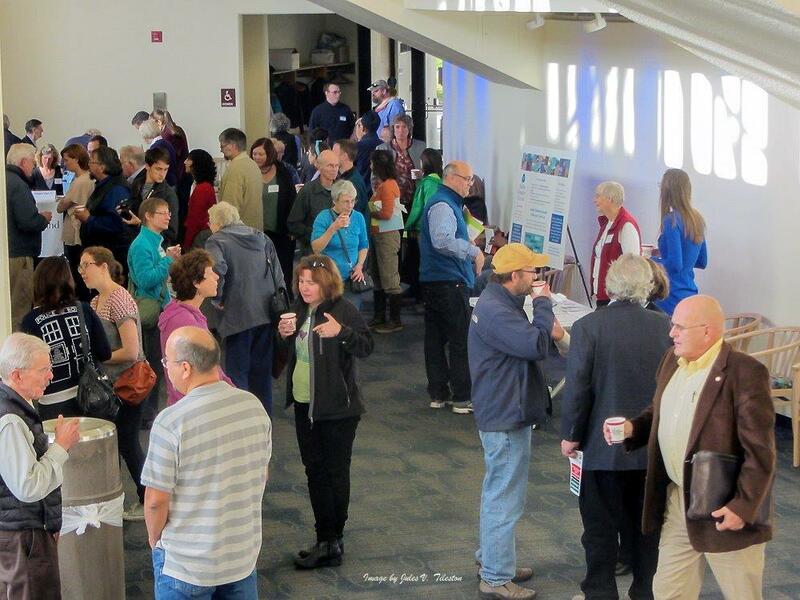 Alaskans are getting involved in the state budget process in big and small ways. 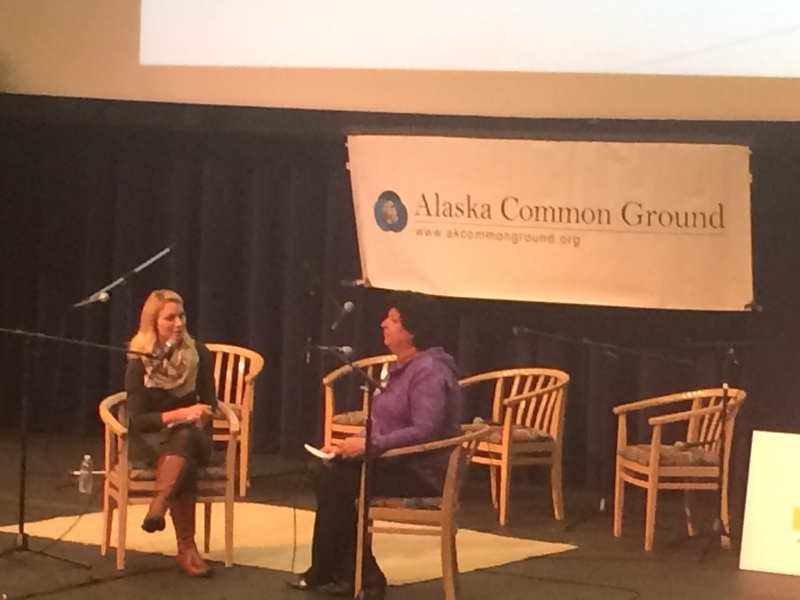 Talk of Alaska on Alaska Public Media explored this activism with representatives of three groups who are offering ideas for how they want state leaders to handle the fiscal crisis. March 29, 2016. KTUU asked viewers to share their questions about the fiscal crisis facing our state, and posed some of those queries to a panel of experts during this special one-hour event Wednesday, March 30th in downtown Anchorage. Nov. 3, 2015 WASHINGTON (AP) — Americans are hot but not too bothered by global warming. However, fewer than one in four Americans are extremely or very worried about it, according the poll of 1,058 people. About one out of three Americans are moderately worried and the highest percentage of those polled — 38 percent — were not too worried or not at all worried. Scientists, however, aren’t communicating their worries well, figuring that issuing more reports and data will convince people, said climate scientist Katherine Hayhoe of Texas Tech, who reaches out to the evangelical Christian community. Success lies in finding common ground in humanity, she said. 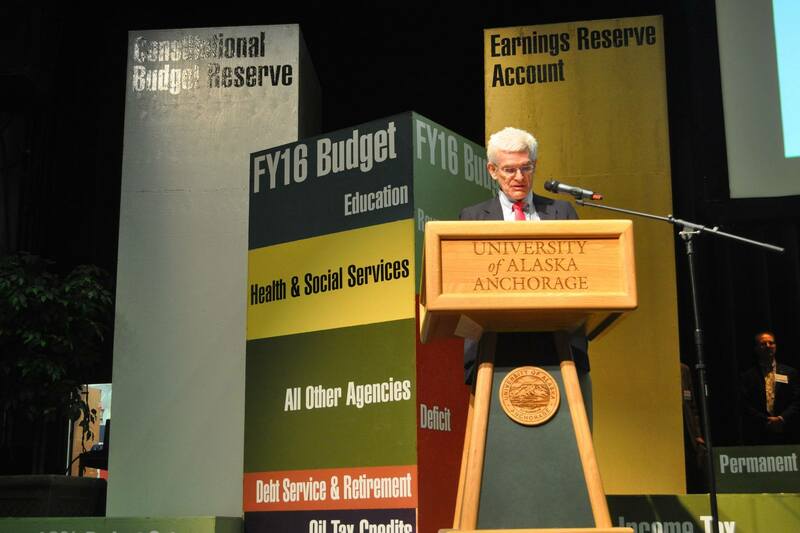 Bill Popp and Mark Foster offered diverging viewpoints on the state’s fiscal outlook at the Wendy Williamson Auditorium at UAA Saturday, Sept. 19, 2015. 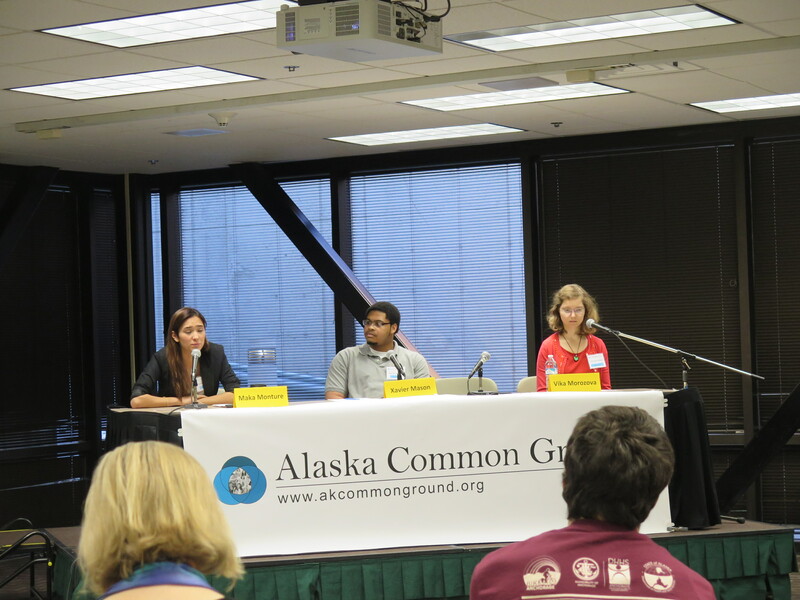 Dueling messages of optimism and stark urgency about the scale of Alaska’s budget deficit, and tangible ideas for how to tackle it, factored prominently into a Saturday forum about the state’s fiscal future in Anchorage. 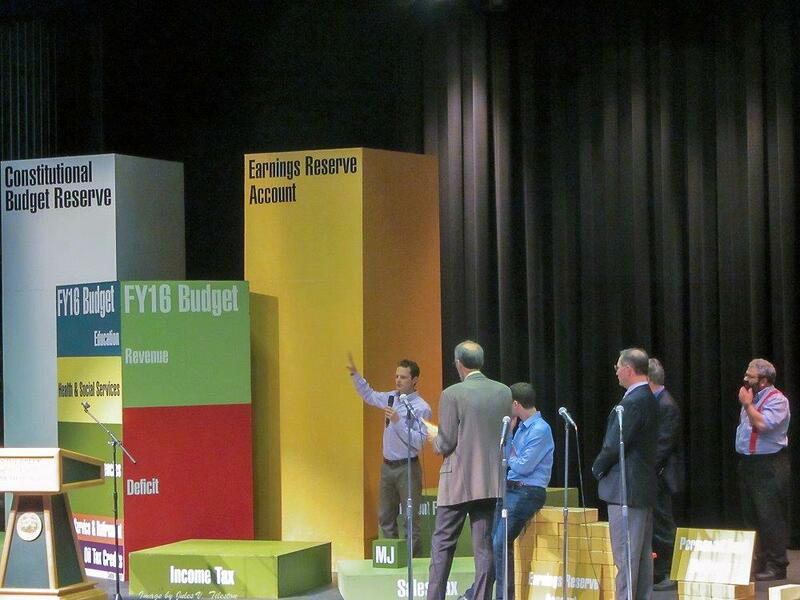 Economic experts and Alaskans with budget proposals shared a stage with a giant scale and wooden blocks meant to illustrate the difficulty of balancing the state’s budget. Scenarios involving new taxes, Permanent Fund dividend deductions and multiyear budget plans were considered against the backdrop of political realities. The overriding message was the urgency of a looming crisis. 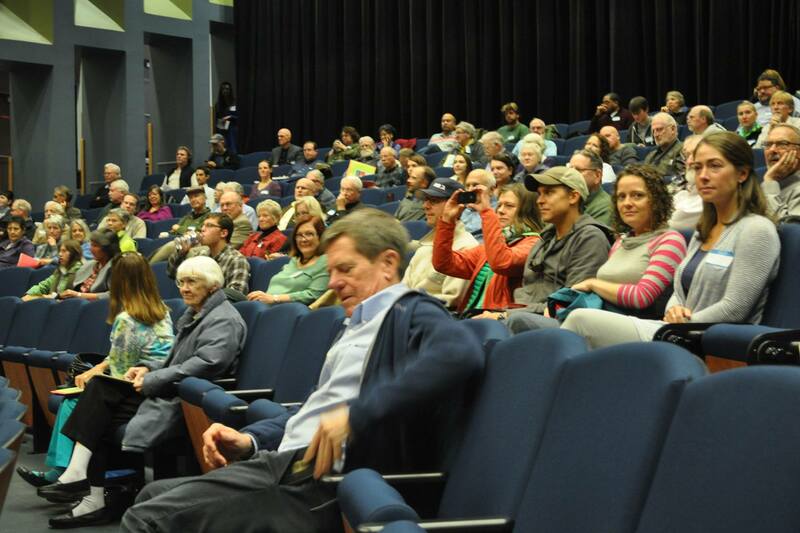 But Gunnar Knapp, director of the Institute of Social and Economic Research at the University of Alaska Anchorage, also said the forum fits into an ongoing conversation. “We’re not going to have one meeting and it’s all going to be blazingly clear,” Knapp said. If trends continue, the state will face a deficit of about $3 billion next year, and savings are limited. In what was billed as a debate but ended up being more of a discussion and a question-and-answer session with the audience, two local business experts offered somewhat diverging views on the state’s fiscal future. Bill Popp, president and CEO of the Anchorage Economic Development Corp., offered a more bullish outlook framed around optimism; Mark Foster, chief fiscal officer at the Anchorage School District and a longtime business consultant, was a bit more bearish. Popp pointed to record employment in the oil and gas industries and ample opportunities in developing renewable and nonrenewable resources. He said optimism, or the belief that the state can rise above its challenges, will be key to navigating the crisis. But he also said the state should demand its leaders to act fast to find a way forward. Foster’s word of choice was “confidence.” While employment is high, Foster said, the state’s gross domestic product has been declining. He said the state needs to show the world that it can quickly enact fiscal reforms and broker deals in the Legislature to avoid the “potential spiral” that could occur if the state’s bond rating starts dropping. “I think that will precipitate a confidence challenge that will be very difficult to overcome,” Foster said. In his opening comments, Popp said there’s a general attitude the state is revisiting the oil crash of 1986. The best way to indeed recreate the 1980s, Popp said, is to do nothing. Or try to cut the way to a solution, he said. One audience member asked what advice Popp and Foster would give to the state’s youth. Popp’s was “don’t leave” — and if you do, promise to come back. Foster suggested running a mock legislative session — one that involves different groups asking for their departments or programs to be spared from funding cuts. 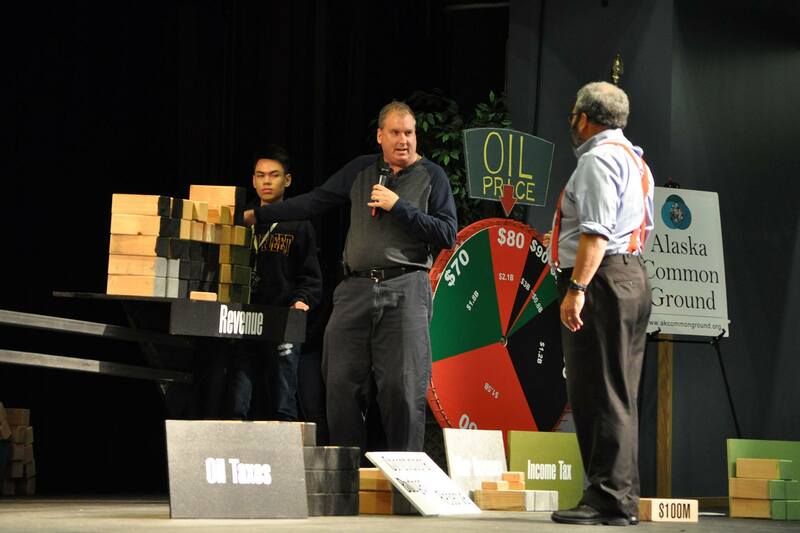 On the stage at lunchtime, 15-year-old Felicity Bidwell watched as Knapp spun the oil prices wheel. It landed on $60 a barrel, or $1.5 billion in revenue. Knapp moved white wooden blocks that represented the state’s reserve savings. Asked how she’d balance the budget from there, Bidwell pointed to green wooden blocks, each representing $100 million. “A sales tax AND an income tax?” Knapp said, widening his eyes and smiling. 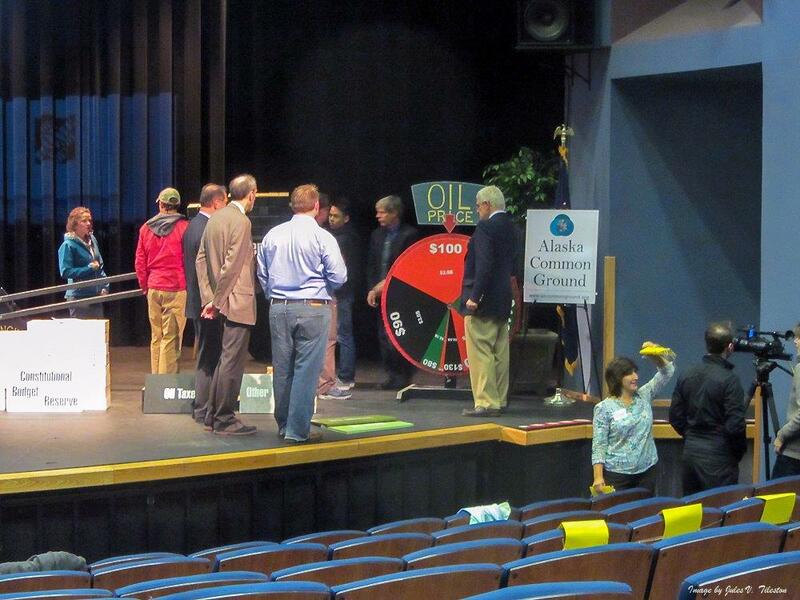 Later, Bidwell, whose mother is a member of Alaska Common Ground, the public policy group that organized the forum along with ISER, stared at the blocks representing ways to cut spending. Bidwell said she’s concerned about the state’s economic future, but shrugged a bit. She said she didn’t plan on being in Alaska forever. Detailed proposals for balancing the state’s budget, complete with charts and projections, were another part of the forum. Four Alaskans whose ages spanned three generations — Gary Wilken, Brad Keithley, Liz Medicine Crow and John Havelock — compiled plans that were outlined in presentations. Then organizers took a straw poll on which plan seemed most acceptable to audience members. Most people favored a plan proposed by Havelock that included getting rid of oil tax credits, setting up an income tax and a seasonal sales tax, raising or establishing taxes on alcohol and sugary drinks and drawing on Alaska Permanent Fund earnings “only as necessary” up to 50 percent. Havelock also proposed fixing the Permanent Fund dividend at $1,650 with cost-of-living adjustments. 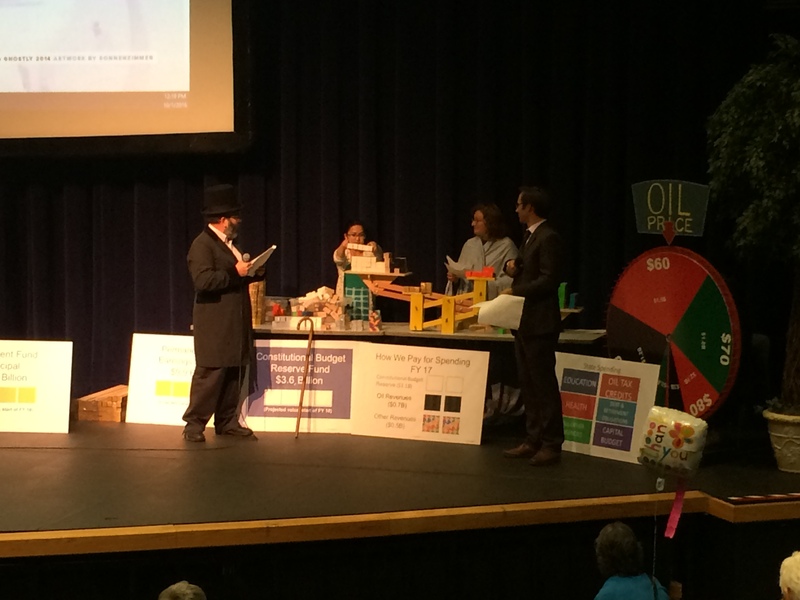 Later, the four came back on stage and talked about the difficulty of reaching a compromise on the proposals. David Teal, director of the state’s legislative finance division, said he was surprised by the apparent willingness of the audience to pay an income tax or give up part of their PFD. “I’m not sure how prevalent that attitude is among the crowd that isn’t here,” Teal said. He noted that those taking part in the budget balancing game were hesitant to make deep cuts, a hesitance shared by the governor and the Legislature. Rep. David Guttenberg, D-Fairbanks, said he didn’t hear anything new as far as ideas for balancing the budget, but appreciated how the forum incorporated real data. Senate Majority Leader John Coghill, R-Fairbanks, said he found it helpful to hear the range of ideas and immediately see how the audience received it. Anchorage psychiatrist Dr. Ron Feigin said people throughout Alaska should have the information that was being presented. He said he had been familiar with the scope of the problem, but the size of the blocks and scales helped bring it home.